This Celtic cross letter opener is made of lead free pewter. 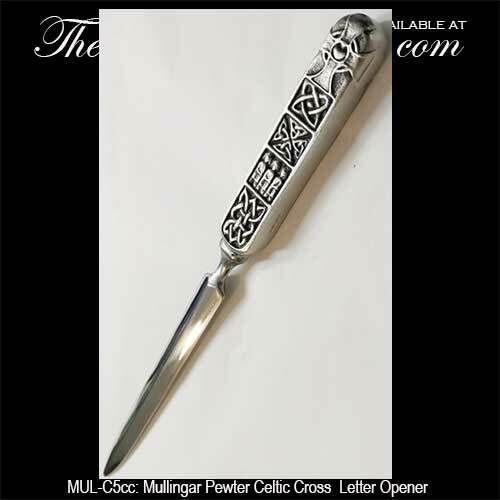 The Celtic cross letter opener is 7 1/2" long and features a pewter handle along with a stainless steel blade. The double sided Pewter paper knife is embossed with a Celtic cross along with knot-work. 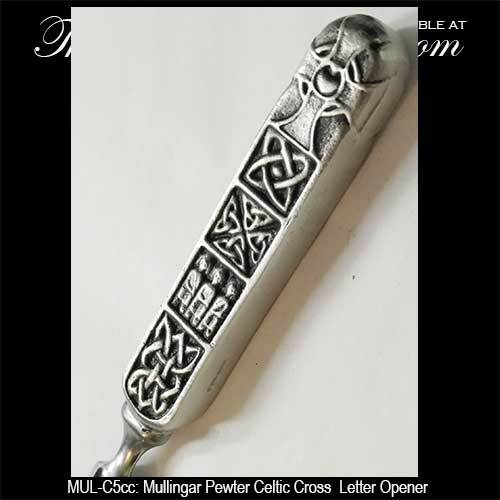 The Irish letter opener is made in Ireland by Mullingar Pewter and it is gift boxed with Celtic knot and Celtic cross history cards, complements of The Irish Gift House.